The Passenger app is a web link that allows customers to book rides at their own convenience. We’ve compiled some of the common questions encountered in using the app. Q: What type of phone does the Passenger app need? A: The link is accessible in all smartphone devices both for android and ios users. Basic phones that have no data capability thus it can’t be used. Q: Can customers book rides once the store is closed? A: No, customers can only book rides within the store’s hours of operations. 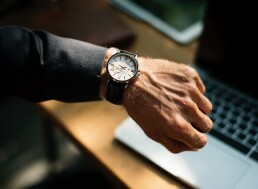 Service Managers should set the stores hours in the command center. Click here to update your station settings. Q: Can customers use the app outside the dealership? A: No, the passenger app can only be used for when the customer needs a ride back to the dealership. If they need to go somewhere else other than the dealership, they cannot create a ride. Q: Do passengers need data services to run the passenger app? A: Yes, the smartphone has to have data service to access the passenger app link. Q: Do customers need to request a new link every time they need a ride back to the dealership? A: No, the passenger app link does not expire. Customers can use it over and over again as long as its the same dealership. If they go to another dealership that also uses Quickride, they need to request for another link to that dealership’s passenger app. Q: Why does the passenger app ETA changes? A; ETA is based on when the ride/s that got created at the station. 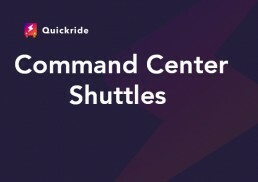 The shuttles are dispatched based on the trips or rides created for the Driver needs to complete. These rides are organized to help the driver manage the queue as efficiently as possible. The ETA is a near estimate on when the driver can be expected. But, but it can still vary depending on the route the driver takes or the traffic conditions it encounters.